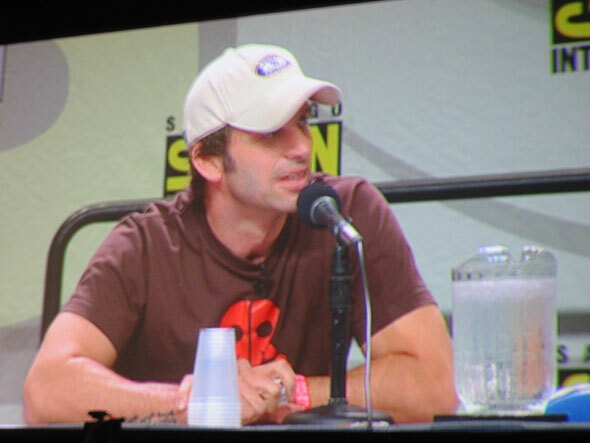 Filmmaker Zack Snyder (300), who is set to direct Warner Bros. Pictures’ feature film adaptation of the award-winning graphic novel Watchmen, today announced the cast of the highly anticipated epic before 6,500 fans during a presentation at this year’s Comic-Con International convention in San Diego, California. 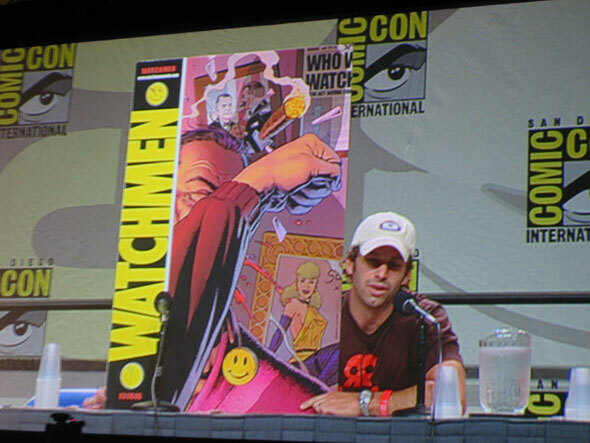 Watchmen will be produced by Lawrence Gordon (Die Hard), Lloyd Levin (United 93) and Deborah Snyder (300), with Herbert W. Gains serving as executive producer. 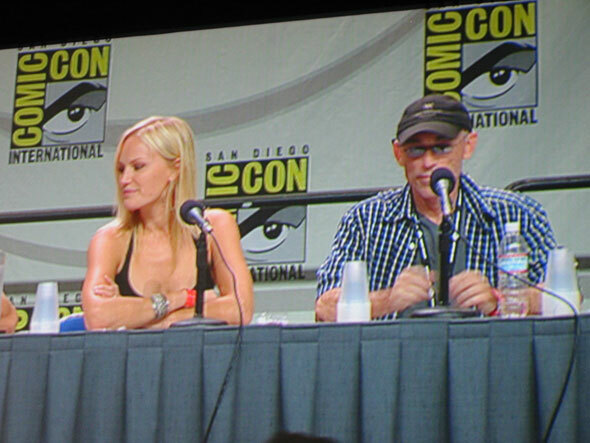 The film is targeted for a March 6, 2009, release, which was revealed on a Comic-Con poster (see below). Playing the film’s core group of “masks,” the masked adventurers at the center of the story, are Malin Akerman (upcoming The Heartbreak Kid) as Laurie Juspeczyk, aka Silk Spectre; Billy Crudup (The Good Shepherd) as Jon Osterman, aka Dr. Manhattan; Matthew Goode (Match Point) as Adrian Veidt, aka Ozymandias; Jackie Earle Haley (Little Children) as Walter Kovacs, aka Rorschach; Jeffrey Dean Morgan (TV’s “Grey’s Anatomy”) as Edward Blake, aka the Comedian; and Patrick Wilson (Little Children) as Dan Dreiberg, aka Nite Owl. Snyder told the audience that the production is currently building sets in Vancouver, including a New York City backlot. They are going to shoot it visually like the graphic novel because that’s important. They will take the drawings and film them even though they’ll be using sets not green/blue screen like 300. He said they wanted to cast real actors, not get a cast for marketing reasons, much like 300. He said he cast younger actors because there’s a lot of flashbacks in the graphic novel and he didn’t want to hire two actors for the parts. Instead he got actors in the middle to age them up and down depending on what’s happening. Dr. Manhattan is going to be a full 3D CG performance capture of Crudup though the old John is going to be Billy Crudup as he is. They are not going to have Crudup in blue paint like Blue Man Group. They’ll have to do it CG to make him glow and to have him grow. Patrick Wilson as Nite Owl will age a little and will be slightly older than in real life. We’ll see the Comedian, Jeffrey Dean Morgan, from 19 years old to his ’60s, throughout his life, in Vietnam, etc. 300 and A History of Violence star Stephen McHattie will play Hollis Mason. ComingSoon.net/SuperheroHype.com also talked to Snyder after the presentation and you can listen to the conversation here!